"It's the best business choice we've made so far!" When I reached out to Nicole, my business was moving at a snail’s pace. I had a ton of ideas and it was keeping me from moving forward quickly and powerfully. 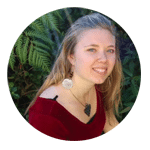 Nicole helped me figure out a strategy to get really clear on my offerings & how to get them out to the world, moving into cash flow. I am finally crystal clear on what my next steps are and am making huge strides in reaching my audience and having the impact on mothers that I’ve deeply longed for, plus money is coming in. Nicole takes a strong stand for women bringing their gifts into the world – I felt this strongly in our work together, and it inspired me to keep moving forward. The world needs the gifts of women and Nicole can help with whatever is stopping you from sharing yours through a profitable business. She is a master in numerous ways and as women we need a coach who can show up and meet us in very specific ways, in order to support us in finding our greatness, sharing it with the world and being well compensated for what we offer. I'm so glad I said yes and didn't let the money stop me. I knew I had to invest in my business to take things to a new level – and to a new level it has gone – it’s been so worth it. 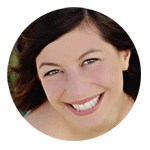 We reached out to Nicole because we knew our business provided a lot of value, but when it came to the – step-by-step practical “how-to” – of really getting it going, we felt stuck. We were wasting a lot of time just trying to figure out what to do and then how to do it. We knew we needed help and were ready to get specific guidance on what our offer should be, the strategy for launching it, refining our message, and ultimately bringing in money! We didn’t want just any business coach – it had to be a right fit. Nicole came in with a clear roadmap and structure for launching our flagship product, bringing in money in the short term and multiplying our list many times over. The wealth of business knowledge training and experience that she has is so valuable, but also the fact that she’s done tons of personal development is really what sets her apart from other business coaches. She has held the vision for us, the steps to get there and brings a great energy to our meetings making it a real pleasure to say the least. It’s the best business choice we’d made so far! The way Nicole works is inspiring and has allowed us to grow into our vision. Nicole you are such a wonderful coach. Thanks to you I have been able to move forward in building my businessas you have helped me release blocks and fears that previously had me stuck. Your big heart and wise presence have been soothing and also empowered me to take action to step into my dream. I thank you for your gentle yet powerful coaching. You have made a big difference in my life. 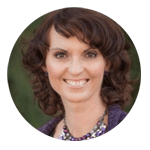 When I first considered hiring Nicole for business coaching I was disconnected from society, because I had been in a creative bubble for two years, focused on writing a book to transform myself and birth a new identity. Swirling in the ethers for so long, I was not grounded in the real world. 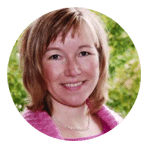 Naive and completely overwhelmed with the vast amount of marketplace knowledge and modern business expertise I needed to create, implement and manage a business plan, I turned to Nicole for support. FUN! She makes me laugh! I am so grateful for her wiz bang epic “spot on” business acumen & ability to whip out copywriting! I was so tired of writing (my book) and I didn’t understand marketing messaging and copywriting – I’m so grateful she helped me write copy!!! Nicole is RARE, because she encompasses a broad spectrum of unique gifts and experiences. She’s not just one thing. SHE KNOWS BUSINESS! SHE KNOWS SPIRITUALITY! AND SHE KNOWS WOMEN! SHE IS THE REAL DEAL. SHE HAS A GENIUS MIND, VAST HEART, GENEROUS SOUL, AND IS TOTALLY EMBODIED & PRESENT. She walks between worlds. 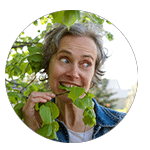 Author- "Confessions of a Bone Woman"
I contacted Nicole when I was in the final stretch of launching my “Grow Your Permaculture Thrivelihood Program” for women. A lot of things needed to happen all at once, so I was feeling overwhelmed—especially about the sharp learning curves of doing things the first time. In just one hour, Nicole helped me dissect projects into manageable tasks, get really clear about how to communicate with partners who were new to affiliate relationships, and hammer out awesome outreach text. Nicole’s confidence as a business coach helped me feel grounded and know I could do this! I filled my pilot Thrivelihood program, and am now working with clients whom I adore. I was feeling really stuck in my business because I had so much to give, but there was this fear of judgement and fear of being seen that was HUGE. It stopped me from getting out there and sharing my work with the world. I also knew that my relationship to money and receiving was creating a lot of scarcity in my life, but I didn’t know how to shift it. My relationship was suffering because I wasn’t bringing in any money. I felt so much guilt and shame around money and so I wasn’t getting clients and I was totally uncomfortable asking for money. What shifted for me happened through the deep shadow integration work I did with Nicole. With her skilled guidance, we looked at the origins of the parts of me that felt it wasn’t safe to receive and did some really deep healing work. I felt a permanent shift in both my energy and my way of thinking. That week, I enrolled two new clients. I felt more free to fully be myself in my work and that natural authenticity attracted me 3 more referrals. It was a very notable and direct change. 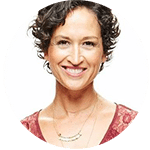 What’s so powerful about Nicole’s work is that she is very masterful at helping you to identify and integrate the shadow parts that are sabotaging or standing in the way of you moving forward. I’ve done a lot of personal growth work and it often feels like just rehashing or examining what’s wrong, without real change. Nicole’s coaching and guidance took me into layers deeper than I’ve ever gone before and created lasting shifts. I was so relieved to feel like I was finally just done with feeling not good enough or like I wasn’t worth what I was charging or the business vision I was creating. It is incredibly freeing and powerful to feel so unfettered. I think the work around receiving has been the most powerful for me in totally shifting my relationship to money. Last month I had my first 10K month. In the last six months, I’ve been gifted two trips abroad. I am standing in my value and worth in a way that feels powerful and authentic. 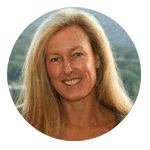 Nicole will take you deep into the very blue-print of the disowned self and skillfully assist you in inviting yourself home. This re-integration is some of the most powerful “healing” work I’ve experienced, it will undoubtedly facilitate immediate and permanent shifts that will be reflected in your reality. If you want things to stay the same, don’t go see Nicole.